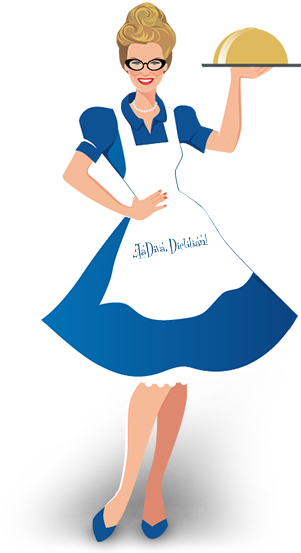 “Fauxticcine” Alfredo Florentine | LaDiva, Dietitian! Chop shallots, paint a medium-hot skillet with oil. Add chopped shallots, reduce heat to medium. Cook until slightly translucent. Remove the cooked shallots and add trimmed spinach. Turn off heat and let spinach cook with residual heat. Cover. Add cashews to the food processor. Chop for 1-2 minutes until you have a meal-like consistency. Add almond milk, tofu, lemon juice, broth paste, ground pepper, dried mustard, nutmeg and nutritional yeast. Blend until pureed. Add shallots. Heat sauce in a sauce pan on medium-high heat. Once heated add non-dairy cheese and turn off heat. Add spinach and stir. Add miso and stir well. Let sit for 5 minutes letting cheese and miso to melt. Give a quick stir to disburse all ingredients. Cover the cooked fettuccine in sauce and serve. From the kitchen of LaDiva Dietitian.